3D printing spare parts: What are the advantages? 3D printing spare parts: What are the advantages for your company? 3D printing opens many possibilities for companies and including additive manufacturing technology in a production process has a lot of benefits. Whether for rapid prototyping or production, all sectors can use this cutting-edge technology. Indeed, we recently learned that the home appliance manufacturer, Whirlpool, started to make the most of 3D printed spare parts. That is why, today, we are going to focus on this aspect of additive manufacturing! 3D printing spare parts: what are the advantages? Which companies are already using 3D printing to create these parts? All you need to know is in this article. Additive manufacturing is offering a lot of benefits for many sectors. First, one of the biggest advantages of additive manufacturing is mass customization, making custom-made parts using 3D modeling software. 3D printing can not only enable you to create made to measure parts, it is also an amazing and economical manufacturing method. Mass customization is also a great advantage when the manufacturer needs to find older parts that are no longer produced. Additive manufacturing is also a way to avoid stocking problems. Indeed, a company can easily be bothered with inventory. 3D printing low volumes for your production, and for the creation of spare parts is now becoming a good solution. This way, you can get 3D printed parts on demand and you don’t need to stock them! Digitalizing production is a real advantage, and you should definitely start to think about it. Another aspect is that spare parts production can be included in home appliances production, automobile restoration, or even for tooling and any kind of machine. It can also improve the quality of your customer service. You certainly know about Whirlpool, the American multinational home appliance manufacturer. They started to use 3D printing in partnership with Spare Parts 3D. Indeed, the manufacturer is now digitizing its part catalog, to fight against obsolescence. As the company produces a lot of machines, they also need a lot of spare parts and it already has quite a huge catalog. In this case, additive manufacturing can be really useful. This production method is particularly adapted to the production of spare parts for home appliances. Indeed, due to obsolescence of all kind of machines, we know that spare parts will be needed, and 3D printing will allow Whirlpool to produce enough parts, at a lower cost and on demand. The additive manufacturing technology is also perfect to manufacture car parts. Indeed, it can be difficult to find replacements, especially for older car models. But, by combining 3D scanning, 3D modeling and additive manufacturing it’s possible to produce rare (spare) parts for cars. Do you know the Porsche Classic division? It is a division that is dedicated to Porsche’s classic vehicles. 3D printing is actually used for the production of spare parts for rare cars. Due to being rare vehicles, their original parts aren’t always being produced or found anymore. In order to have the fitting and accurate working components, they are 3D printed. Additive manufacturing is a really convenient manufacturing process and quite economical when it comes to small batches. That is precisely what happened for the clutch release lever on the rare Porsche 959. 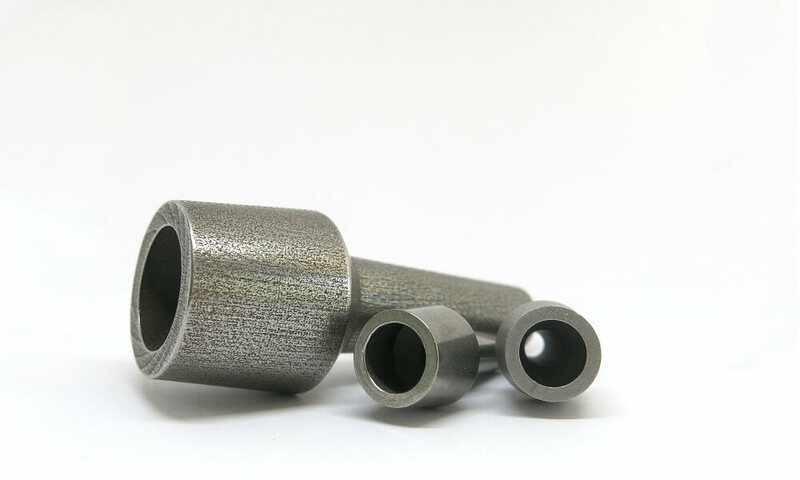 This division used SLM 3D printing technology for steel, light metal, and plastic components to create specific 3D printed parts. Here is another car manufacturer making the most of 3D printing to manufacture car parts for old vehicles. 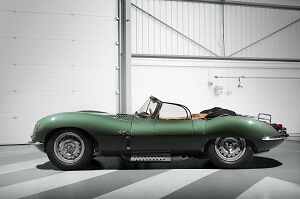 The company used 3D scanning to recreate the classic XKSS model from 1957. The full recreation took 18 months. The only difference with the original car was due to modern safety requirements, but additive manufacturing allowed to recreate these rare parts. Here is a company who totally understand all the benefits of additive manufacturing. They use 3D printing for their tooling processes, we already talked about this on our blog, but they are also 3D printing spare parts! The car manufacturer is really making the most of 3D printing on different levels. As you can see, 3D printing to produce spare parts is mostly used in the automobile sector, but it can be implemented more largely, like for the production of parts for home appliances, as we just saw with Whirlpool. The future of 3D printed spare parts is really promising for all manufacturers from all sectors! Are you looking for a way to manufacture spare parts for your companies? Take a look at our online 3D printing service? Upload your files, get an instant quote and you will receive your parts in a few days. Subscribe to our weekly newsletter for more 3D printing news!